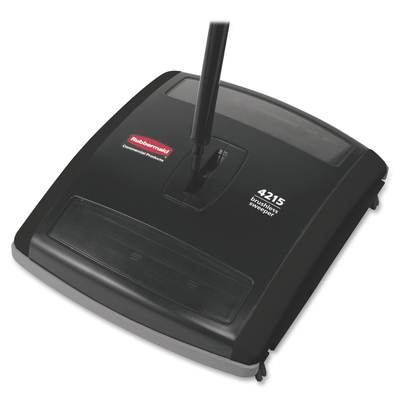 Brushless Mechanical Sweeper Features Nonmarking Rubber Blades That Effectively Sweep Up Dust, Debris And Even Semi-Liquid Debris From A Variety Of Floor Surfaces. It Is Perfect For Foodservice Applications. The Low-Profile Design Allows Easy Access Around And Under Furniture. Tinted Window Allows You To See When The Sweeper Needs Emptying. Soft Rubber Wheels Glide Easily On Carpet, Vinyl, Tile, Wood And More. This Versatile Sweeper Also Offers A Wide, 7-1/2" Sweep Path With Protective Bumper, Two Debris Canisters With One-Touch Emptying Doors. It Is Made Of Durable Galvanized Steel And Tough Abs Plastic..
7920014606658, Toro Upright Broom, Synthetic Polypropylene, 13 1/2"
7920002672967, Street Broom, Palmyra, 16"